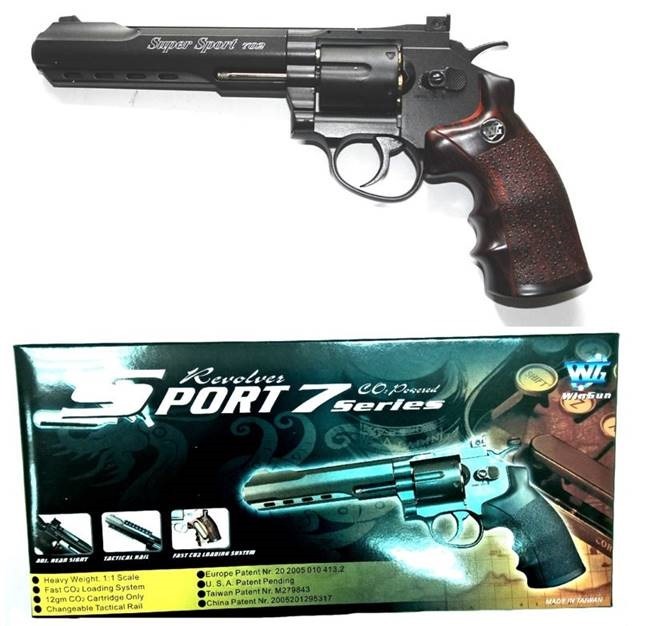 We bring the latest news about one niche market- quality gas/co2 revolver replicas. SRC will join the dog-fight with WG, KWC, RA, and HFC in the third quarter of 2018. Due to the page limit, we cannot but have to publish a part of the theme now and the rest in the next week, please stay tuned! If you were tired of pistols with blow-back slide, and wished to set up sales mix targeting at collectors and alternative shooting fun, this is it. Please click the item number to access more technical info. 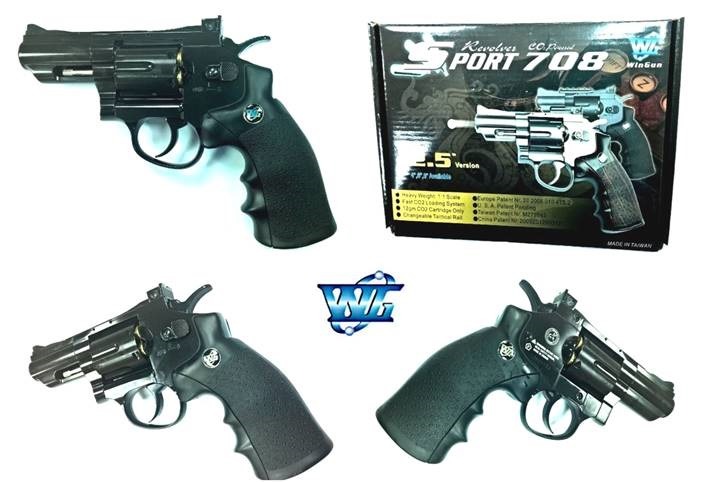 Speaking of WG, they has established full line of quality CO2 revolvers, and long been in partnership with the Western brands. 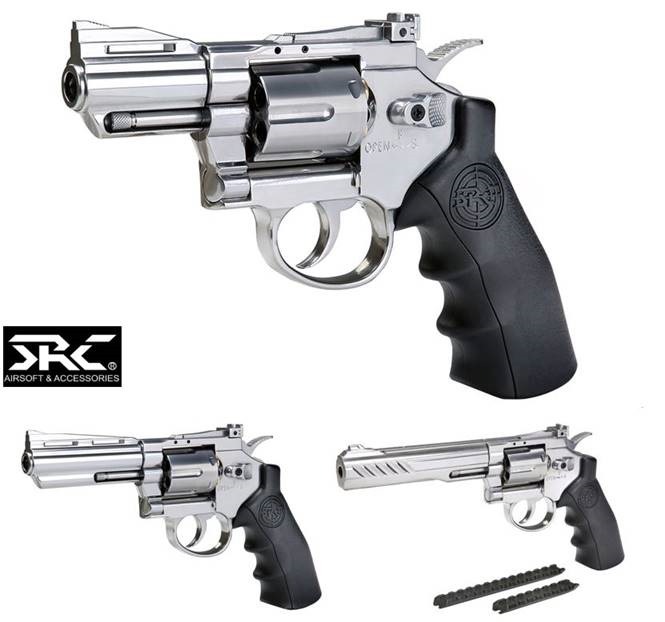 Replicated from the famous Colt Python® series, WG provides 3 paintings, they are blacked plated【CP110B】,stealth black【CP110】,and silver plated【CP110S】in 2.5 inches length barrel. In Python® series, WG actually provides various length outer barrels from 2.5 inches【CP110/CP110B/CP110S】, 4 inches【CP105/CP105S】, 6 inches【CP106/CP106S】 to 8 inches【CP107/CP107S】 to meet clients’ need. They own two finishing in out looks, satin black and silver as indicated after item codes. SRC will have a big move in Sept. 2018. As a conglomerate producer, SRC has finally marched its significant step in CO2 revolver production after the SRC SR5 CO2 SMG, a replica of HK MP5, had launched in May. The Titan series has three lengths of barrel from 2.5 inches, 4 inches, and 6 inches, and were basically developed based on Colt Python® construction. 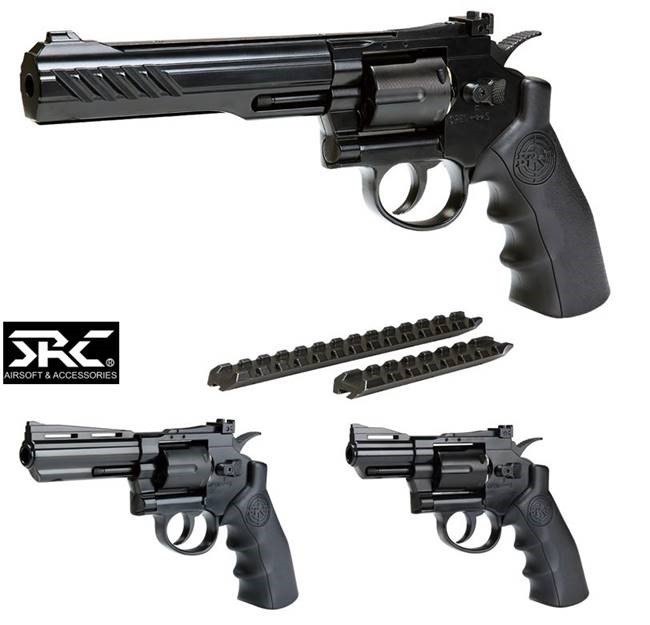 Though there are many competitors in the CO2 revolver market, SRC provide two tactical metal rails to facilitate the gunner to mount optical aiming system in 6 inches model. It was indeed the spot light of SRC 6” CO2 revolver. We are capable of providing the said items with reasonable prices, one-shopping service, and parts service. Please contact local agent first or sales@jiadyi.com if there is absent of the said dealer in above brands.